Every professional athlete wants to get the most out of his or her body. With such fierce competition, their physical fitness has to be tip-top, and so, you can expect that often younger players can find an edge over older players who have passed a certain age. For football players, most of the decline is in the 30s. Most footballers can expect a career that runs into the early-to-mid 30s if they keep in good shape. However, an injury can change all this in a heartbeat. 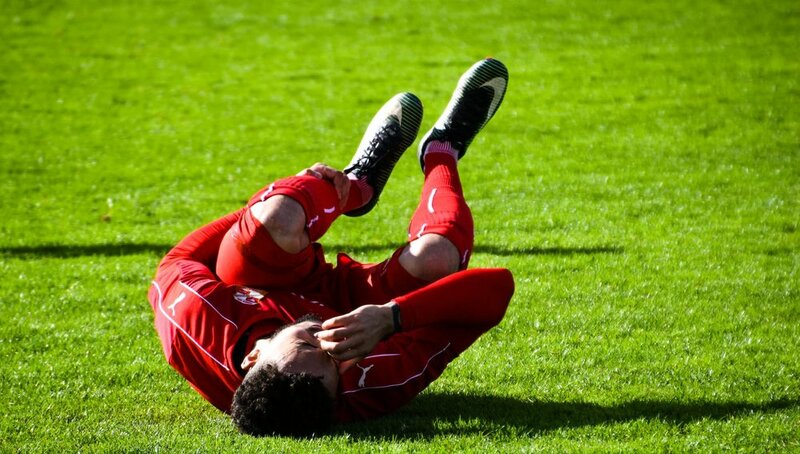 Despite a positive trend toward peak mental and physical fitness and alternative approaches to do with dieting and even yoga for footballers, injury can cut a career short. All it takes is a mistimed (or malicious!) tackle or even a training ground slip up. Here are some of the most prolific footballers whose careers stopped short due to injuries. What is about to follow is not for the fainthearted. Manchester United youngster Ben Collett could have been the next Ryan Giggs. At the age of 18, he was about to step up and accept a three-year, first-team contract with the club. However, during a game with Middlesbrough, a mistimed challenge by Gary Smith broke both of Collett’s legs. Collett eventually received £4.5 million in loss of earnings, but that’s not any compensation for the loss of a career at such a young age. Collett went on to play only a handful of games with clubs Apeldoorn and New Zealand Knights, but ultimately, had to pack it up for good. A career cut even shorter was that of Ramón Colillas, a promising young footballer who played for minor league teams when he suffered a knee injury. However, he fought back and made it onto the squad of Manresa in Catalonia. Then he blew out his other knee. It was just never meant to be. But not all injury stories have an unhappy ending. Ramón Colillas is now an ambassador for PokerStars after recently winning over $5 million in the PSPC poker tournament. Considered one of the most gruesome injuries ever to occur on a football pitch, David Busst played for Coventry in 1996 when his career was cut short. The defender had come forward to join the attack on a Coventry corner when he collided with Denis Irwin and Brian McClair. We’re not going to make you look at the picture right now (look it up if you’re interested), but Busst suffered extensive fractures to the tibia and fibula of his now-mangled right leg. The scene left Peter Schmeichel vomiting and several players who witnessed the incident needed counseling. After 26 operations, Busst now plays with the Over-35s and small-sided football, but it almost goes without saying that was the end of his professional career. The only injury that comes close is that of the talented striker Luc Nilis, who collided with the Ipswich goalkeeper in his 2000 debut with Aston Villa, shattering his right leg in two places. Dean Ashton rose up through the Crewe Alexandra Academy, and when West Ham snapped him up in 2006, many expected him to make a big difference in the team, which he probably would have had an injury not stopped him short. A mistimed tackle by fellow England teammate Shaun Wright-Phillips during training left Ashton with a broken ankle. He missed the 2006-07 season, and despite playing over 40 more professional games, doctors eventually advised him not to continue — or risk his ability to ever walk again. A training ground tackle gone wrong is all it takes. On the other hand, every now and again, we see a malicious tackle on the pitch, and none are quite so vicious as Roy Keane’s crunch on Alf-Inge Håland. The pair locked in a rivalry ever since Håland gave Keane a knee injury four years earlier, and in 2001, it was time for him to take revenge. Keane deliberately went into the game hoping to foul Håland, as admitted in Keane’s autobiography. He found his chance during the game and came in full force with his stud into Håland’s knee before standing over him taunting. Unusually, Håland retired a few games later because of troubles in his other knee. Coincidence? Who knows, but malicious, nonetheless.